Siouxsie Sioux, the former frontwoman of Siouxsie and The Banshees will be returning to stage for the first time in five years to perform in this year’s Meltdown festival in London. The festival that will be celebrating its 20th anniversary takes place at London's Southbank Centre from 14-23 June, is being curated by the 80-year old, Yoko Ono, who follows in the footsteps of some of the most iconic names in music in curating the event, from Elvis Costello, David Bowie, Patti Smith, Lee Scratch Perry, Morrissey, Jarvis Cocker, Nick Cave, Scott Walker, John Peel to Antony Hegarty. 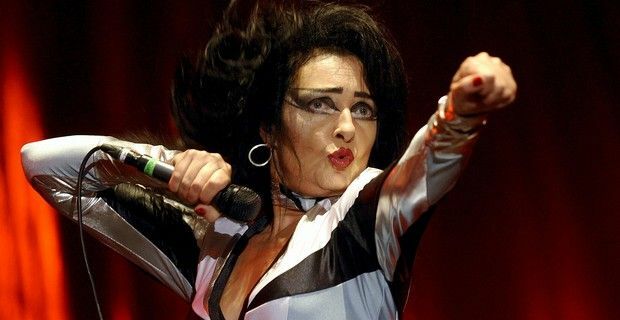 The concert will be Siouxsie’s first live appearance since her tour in 2008, that followed her first solo album, MantaRay and she’s scheduled to perform on June 15 at the Royal Festival Hall. The festival will also feature Marianne Faithfull, Iggy and the Stooges, Patti Smith, and Boy George just to name a few of the artists that will be present for the week-long festival and Ono will open the festival on 14 June with her Yoko Ono Plastic Ono Band, while closing night, "a host of very special guests" will perform Double Fantasy, Ono and John Lennon's final album together which was released three weeks before Lennon's death. Tickets go on sale on Tuesday 9 April at 10am to Southbank Centre Members and Thursday 11 April at 10am to the general public.